Soldier General Duty: Candidates who have completed SSLC/ Matric with 45% marks in aggregate and 33% in each subject. No percentage required for higher qualification i.e. 10+2 and above, however, minimum 33% in each subject required or equivalent from a recognized Institute for Indian Army Rally Recruitment 2019. Soldier Technical: Candidates who have completed 10+2/ Intermediate exam pass in Science with Physics, Chemistry, Maths, and English with 50% marks in aggregate and 40% in each subject or equivalent from a recognized Institute for Indian Army Rally Recruitment 2019. 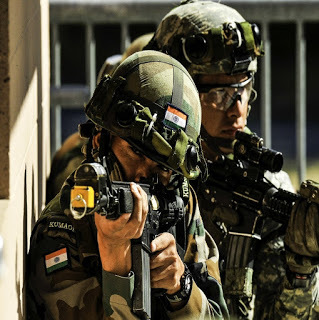 Soldier Technical (Aviation/ Ammunition Examiner): Candidates who have completed 10+2/ Intermediate exam pass in Science with Physics, Chemistry, Maths, and English with 50% marks in aggregate and 40% in each subject or equivalent from a recognized Institute for Indian Army Rally Recruitment 2019. Soldier Clerk/ Store Keeper Technical/ Inventory Management: Candidates who have completed 10 /+2 / Intermediate exam pass in any stream (Arts, Commerce, and Science) with 60% marks in aggregate and minimum 50% in each subject. Should have studied and passed English and Maths/ Accounts/ Book Keeping in Class X or Class XII with 50% marks in each subject or equivalent from a recognized Institute for Indian Army Rally Recruitment 2019.